West Bengal Madhyamik Result 2019 - West Bengal Board of Secondary Education (WBBSE) will announce the WB madhyamik result 2019 in the first week of June in the online mode. The West Bengal Madhyamik result can be checked by entering the candidate’s roll code, roll number and date of birth in the login window. West Bengal Madhyamik will be held from February 12 to 22, 2019. The result of WBBSE Madhyamik can also be accessed via SMS by sending a text message in a specified format provided below. 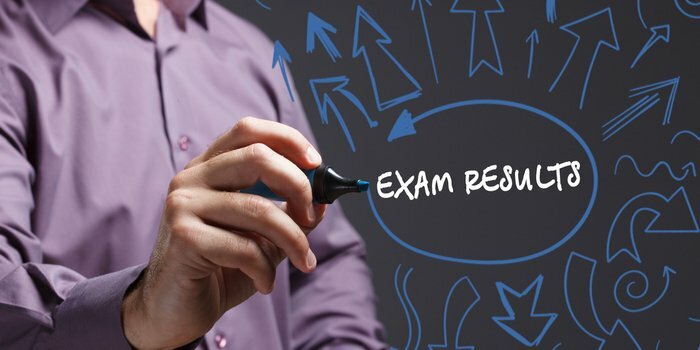 Madhyamik result 2019 will include information about a test taker’s details, exam details as well as overall performance. The WB madhyamik result 2019 released online shall be regarded as the provisional one. Students will receive original mark sheets soon after the online declaration of result. Students must read the complete article below to know more about WB madhyamik result 2019, steps to check it, what to do after it's release and more. In 2018, West Bengal 10th result 2019 was declared on June 6 and the overall pass percentage of around 11 lakh candidates was 85.49%. Step 1: Click on the link WBBSE Madhyamik Result 2019 provided on this page. Step 2: In the login window, enter roll number, roll code and date of birth. Step 3: Click on Submit. The result will appear in screen. Step 4: Check that all details mentioned in the result are correct. Step 5: Download and save the result. Step 6: Take a printout of the same. Keep it safe for future reference. WB 10<space>roll number and send it to 56070. After receiving the text message, detailed result including overall score, subject-wise marks and qualifying status will be sent to candidates on their mobile number. What after WB Madhyamik result 2019? Soon after the result of WBBSE Madhyamik Board is made available online, the Board will issue original mark sheets to students. Students are required to collect the same in person by visiting their respective schools. The result which is declared online is provisional and the downloaded and printed copy will not be treated as an original document. After the release of West Bengal Madhyamik Pariksha result 2019, students can select the stream of their choice to study in classes 11th and 12th. Q: When should I reach the examination centre on the exam day? A: Students must ensure reaching the examination centre half an hour prior to the beginning of the exam. This will given them time to settle down and quickly go through their notes. Q: What all should I carry for the exam? Will mobiles be allowed? A: No, mobiles, tablets or any other gadget are not allowed inside the examination hall. Hand it to your parents/guardian before entering. You can only take your stationary - pens, pencils etc which are required to write answers. Q: What if I'm not satisfied with the marks I get in exams? A: In this case, you can apply for rechecking/revaluation. You need to apply within one month of the release of result by filling the form and paying the fees. Remember, that you will have to accept the score released after rechecking/revaluation. Your West Bengal Madhyamik brochure has been successfully mailed to your registered email id .